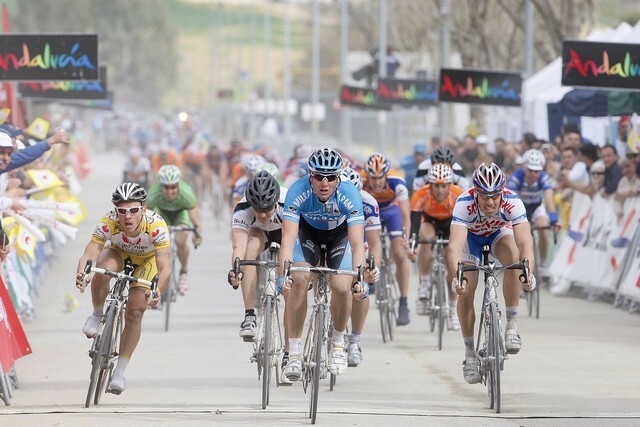 Alessandro Petacchi (Milram) repeated yesterday’s sprint finish win in today’s fourth stage of the Ruta del Sol. The Italian sprinter again out-foxed his rivals on the run-in to Ecija, with Slovakian Borut Bozic (Collstrop) coming second wheel. Spaniard Pablo Lastras Garcia (Caisse d’Epargne) leads the race, and it looks unlikely that his lead will be seriously challenged in tomorrow’s fifth and final stage of the race, a 155 kilometre jaunt finishing in Cordoba.